Here are your DIYbio events for the week. On Sunday, Oakland has an introductory talk on becoming a biohacker, and continues its Open Insulin project. On Monday, Austin will be attending a talk on beekeeping, Calgary and Minneapolis will be having socials, and Sunnyvale will be continuing its work in quantum biology through development of a surface plasmon detector. On Tuesday, Amsterdam continues its work on a cycle of projects, including the sound of microbes, bio-tattooing, water seedling study, and bio-textile printing. Oakland has a meeting on the continued building of their lab, and Somerville has a study session on a paper about microbe identification in truffles using 16s ribosomal RNA sequencing, as a starting point for a very near future project. On Wednesday, Charlottesville will be probing produce to check for genetic modification, Durham will be continuing its study sessions for for the MIT Principles of Synthetic Biology course being offered through edX, Oakland will be continuing its fun fermentation work, Vancouver will be doing some lab work on protein expression, San Diego will continue its lab work with a bent toward algae transformation, and Sunnyvale continues its work on a flourescence microscope. On Thursday, Chicago kicks off its Computational Science and Molecular Systems meeting, Denver continues its study sessions of the MIT edX course, with specially curated content, Somerville also studies the MIT course, and Toronto studies The Cartoon Guide to Genetics. On Saturday, Austin is brewing beer and learning about crop selection and nutrition, Los Angeles has an organizational meeting to figure out their bioinformatics study group, Oakland has a special Valentines event featuring a lot of things including the Guerilla Grafters, and San Diego continues its bioinformatics study support. Here are your DIYbio events for the week. Monday through Wednesday, Washington, DC is hosting a genomics hackathon. On Monday Oakland and Sunnyvale are having team meetings for their Real Vegan Cheese project. On Tuesday, Stockholm is planning the Swedish Bio-makers Conference for 2016, and Vilnius is meeting to start MIT’s edX Principles of Synthetic Biology online course, On Wednesday, Durham is meeting for the MIT course, Oakland is doing more fermentation and the Open Insulin Project, Sunnyvale is meeting to continue building a flourescing microscope, and Seattle is having a talk on recognizing the bacteria in your environment. 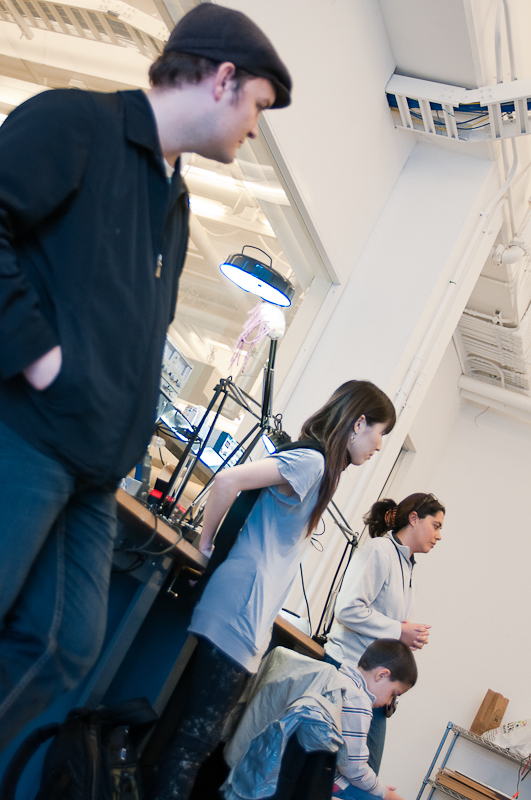 On Thursday, Somerville is holding a study session for the MIT online course, Oakland is having a mushroom lab night, as well as an Intro to Bioinformatics workshop and Sunnyvale continues their bio-printer community project. On Friday, Los Angeles has Alexis Gambis as he screens and discusses his feature film “The Fly Room” about genetic pioneer Calvin Bridges and his daughter Betsey. On Saturday, Oakland continues work on bacterial sunscreen and conducts an introduction to synthetic biology, San Diego continues their bioinformatics study group, Longwood continues to work on their lab. Here are your DIYbio events for the remainder of this week. On Monday Oakland is having an applied mycology meeting. On Tuesday, Oakland is having a social, with free pizza and beer, San Diego is going to a talk on technology enabled exploration, and Somerville is having a discussion of the Cpf1 – Class 2 CRISPR-Cas System. On Wednesday, Montreal has presentations by Dr. Francois Major and his team on RNA engineering, and Charlottesvile has a discussion on genetically modified foods. On Thursday, Baltimore has a discussion by members on directions and projects resulting from participation in the How To Grow Almost Anything courses, and Denver is having a holiday social. On Saturday, San Diego is doing a hands-on bioplastics workshop, Seattle is holding a class on the neuromuscular system, and Somerville is having a beginners course on synthetic biology. The International Genetically Engineered Machines Competition (iGEM) is opening to DIY teams next year. It’s grown from a small experiment with 5 teams in 2004 to the largest community and conference of synthetic biologists in the world (with over 200 teams competing in 2013). I’m on the organizing committee for the new track – the “Community Labs” track – and I’m terrifically excited about the opportunity the iGEM competition provides for growing DIYbio. Running an iGEM project is a big job, there’s no doubt. But if you’re up to it, you can use the competition as a powerful organizing tool for recruiting talented scientists, engineers, artists, and biohackers to work together and as a motivating force to solicit funds from many different local and national donors. If you’re interested in spending six months building and designing your own biological system with synthetic biology, think about starting or joining an iGEM team in 2014. I’m planning on starting a San Francisco team, and I’m going to recruit from the local biohacker scene, as well as from the local biotechs, big internet companies, and research labs. I see iGEM as a beautiful way to bring together really smart people to figure out and do DIY synthetic biology. For more info, look on the diybio@googlegroups.com list for iGEM threads or leave comments below. You can also email diy@igem.org if you have specific comments or questions for the organizers. Hi everyone. First, I want to applaud all your amazing work engineering and building biological systems here in iGEM. It’s simply amazing. So. I’m Mac Cowell and terrifically excited to announce a new iGEM track – the iGEM Community Labs track. But before I give you the details, I’d like to just talk for a moment about how iGEM and DIYbio relate from my perspective. iGEM is an engine for innovation, like the scientific academy and the free market. But in addition to the accolades of scientific publishing and the economic rewards of the free markets, the real motive force that energizes synthetic biology innovation in iGEM is powered by a simple desire by the participants to “push the technology” as far as possible – and to HAVE FUN. This is an intrinsic and separate motivation but just as a valid and important as a wish to advance science or make millions. Innovating for the sake of innovation itself is an incredibly powerful force, and it’s what excites me – and you – about the opportunity iGEM offers to “push the envelope” of biological technology. 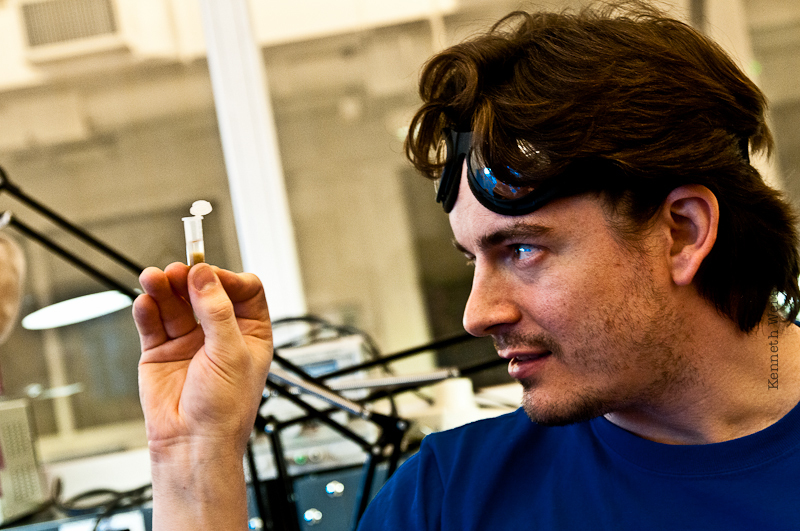 The worldwide community of “amateur biologists”, biohackers, citizen scientists, or otherwise “non-institutional scientists” are motivated in the same way. They want to push the envelope of biological technology. They want to, in general, increase the power of an individual to understand biological systems – “to understand things” – and to prototype biological designs – *to build things*. They ask why the tools we use as biological engineers – protocols and equipment and organisms and genes – are the way they are, and perhaps not simpler, less expensive, or just easier. Like iGEM, the worldwide biohacker community thinks outside the box and innovates for the sake of innovation. I was once an iGEM participant – in 2005. Over the following years, the I was continually amazed by the innovation at the edges of synthetic biology that iGEM stimulated. And most surprising of all, it was being done by you – undergraduates. Not teams of PhDs working for academic fame. Not companies motivated by profits. By you iGEM youngsters, driven by the simple obsession of inventing something *new*. So in 2008, inspired by the community of iGEM biohackers – those kids inventing for invention’s sake, pushing the boundaries of what’s possible with synthetic biology – I coined a phrase with my friend Jason Bobe in an attempt to name the community with similar ideals outside of iGEM. We named it “diybio”. That name was a pebble at the top of a mountain. And over the last 5 years, it seems to have caused a landslide. But the two of us just gave it it’s first little push. But despite their fundamental alignment, the diybio & iGEM communities have not formally intersected – until now. In 2014, DIY teams operating their own labs are invited to participate in iGEM. The fees will be the same as for other teams – roughly $3000 to register and $450 per participant going to the Jamboree. DIY teams will receive the part distribution and will compete with other DIY teams in the track, as well as being eligible for awards from the other iGEM tracks as well as the grand prize. In other words, a DIY team, like the teams in the other tracks, could be the ultimate winner of the competition. DIY teams are required to have two leaders – or “PIs” – who do not have to be accredited scientists, but who do need to be listed as managers or leaders of the company that runs the teams lab space. If a team wants to form a new lab, that’s fine – they’ll just need to create an LLC or C-corp or other legal entity as an umbrella for their activities. Or they can ask members of an existing organization to act as the PIs of the team. Importantly, these PIs and the associated legal entity are what become responsible for the activities and behavior of the team – not the iGEM organization. iGEM requires a large investment in time and money to participate, but its format as annual competition actually facilitates fundraising, recruitment, and general motivation to do something BIG. It provides a compelling vehicle to organize a team, a lab, and get a project done on time. Having observed the competition grow from 13 teams in 2005 to over 200 teams in 2013, I’ve noticed time after time how much easier it is for teams to raise money when they tell donors “we need this money to win! support us and the local community,” instead of “we need this money to do our science project – please support us and science!”. In my opinion, the new DIY track could stimulate many new community labs and teams to form with great benefits to the diybio community. Anyone can start a team, and for you, I have two critical suggestions. As the leader of the team, you’ll have two main jobs in the beginning, just like a CEO: 1) recruiting awesome teammates, and 2) raising money to support the team. Start with recruitment first. Put together a talk or presentation about what iGEM is and why you’re excited about participating, then go to your local communities that might have awesome people interested in helping, and get them excited! Go to local biotech companies, research labs, retiree communities, schools, museums, hackathons, lightning talks, science nights, and any other venue you think might be a filter for smart, capable, motivated people interested in biohacking. You can use iGEM to build an amazing local team of talented scientists and engineers. Once the team starts to come together, do the same roadshow at local businesses, asking for sponsorship. Tell them you’ll put their logo all over your tshirts and website etc. Try to get some grants from the city. Ask for $1000 from the awesomefoundation.org. DIY iGEM teams in 2014 are a huge opportunity to build the strength and reach of DIYbio everywhere. I encourage you all to consider starting teams and using iGEM as a focal point for getting great people and real money involved in DIYbio. More details about participating will be available at iGEM.org in 2014. In the meantime, please direct any questions or comments to diy@igem.org. If you drop by news.diybio.org, you’ll find a live aggregator of all sorts of diybio-related news feeds, updated in real-time. 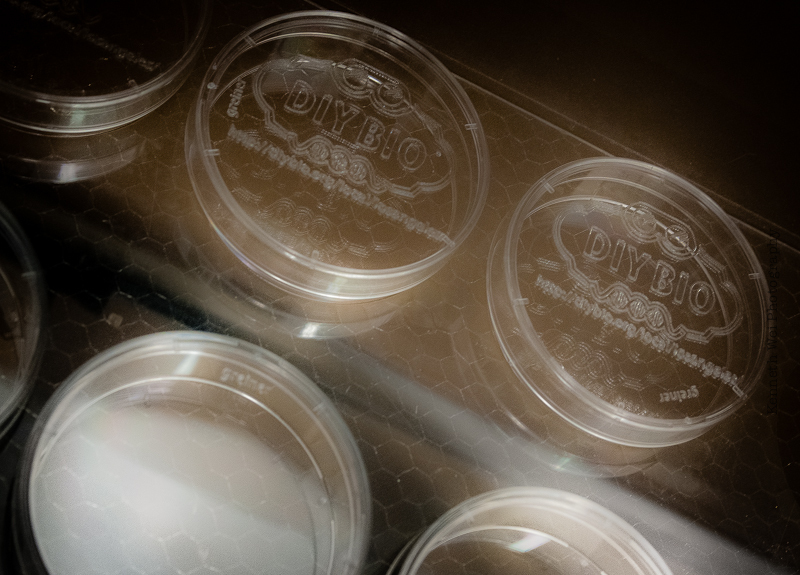 We’re aggregating diybio-related blogs, twitter feeds, and email topics on the main diybio google group. So – go check out the news: news.diybio.org! The aggregator software is developed and maintained by Dan Choi and is loosely based on his boston-rubyists project – thanks, Dan! Please add suggestions for additional blogs and twitter feeds to the comments below and we’ll add them to the news dashboard. More details about the program, or listen to the archived stream. Charlie Schick is an ex-scientist and a determined practical microbiologist. He writes about science, media, and other lofty subjects at http://molecularist.com. Recently, I’ve been prowling the aisles of liquor stores and supermarkets reading labels of fermented foods, looking for new cultures to use. Am I violating any copyright? Back in June, the DIYbio folks in the Boston area had a fun meet-up on yoghurt making, led by Vaughn Tan. One thing that was brought up but we really did not discuss was the copyright of culture strains found in yogurts. Mac asked if there were legal ramifications to using strains taken from commercial yogurt. I remember a time when it was hard to find commercial products with live cultures, for example beer or yogurt. Beers were pasteurized (ugh) or, later, filtered to remove live cultures. And in the 90s, I remember Stonyfield’s as being the only “widely” available live yogurt. But now it seems almost all yogurts have live cultures (though not necessarily with a rich set of bugs – some seem to have 1 or 2 instead of the usual 5). And I was impressed with my local liquor store carrying a wide range of beers with live yeast, such as lambics (fermented with a complex collection of wild yeasts and bacteria) and a breton beer, that caught my eye because it was made with two yeasts. When I need to, I start my yogurt cultures with a starter taken from a commercial yogurt, such as Stonyfield’s. And I’m considering pitching (inoculating) my next beer batch with the two yeasts of that breton beer. Is this “fair use”? 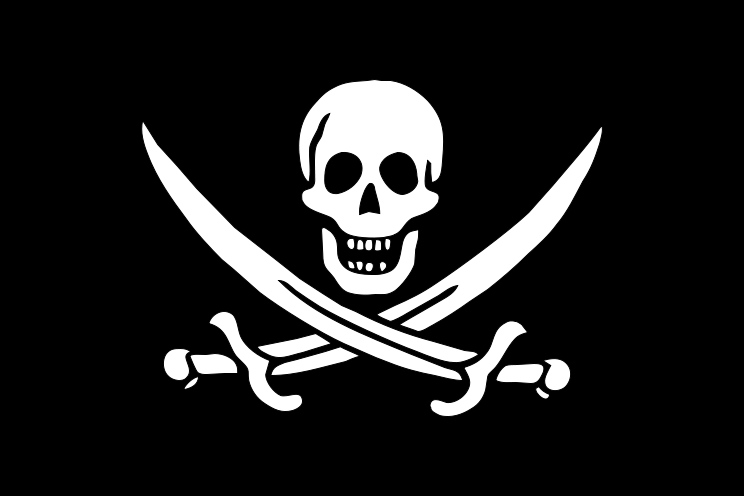 If I give the culture to someone else, is that piracy? And what if I start selling my product? And how can anyone prove it is their strain? These bugs are easily available, and most are naturally occurring. Will commercial strains need to be fingerprinted somehow for copyright protection? You can see where this is going: Who will be the RIAA-equivalent in this story, to crack down on infringement? Who will be the EFF– or Creative Commons-equivalent to promote openness? Will we have a Napster-like bug-sharing service, freely sharing strains among all sorts of practical microbiologists? In the lab, there are usually rules in place to restrict the free sharing of strains or samples. But these are usually for recombinant organisms, where it is clear what was created. What about for naturally occurring organisms? 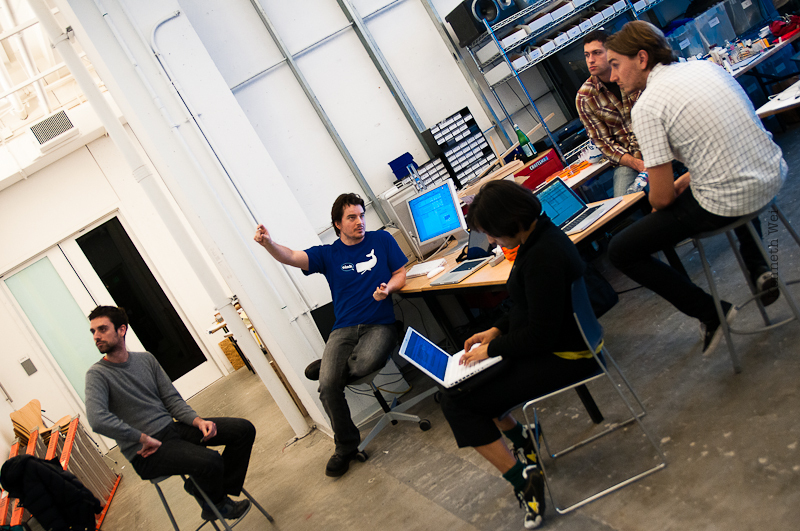 Open sharing of information is a cornerstone of DIYbio. Will the same freedom extend to the sharing of microorganisms, especially if those microorganisms come from a lab or commercial product? Long ago, people discovered that not all food-spoiling processes were harmful. Indeed, people have harnessed fermentation, a spoiling process, to preserve foods – beer, wine, cheese, sauerkraut, cider, kimchee, yoghurt, and, of course, surströmming (you won’t believe what it is). To me, humans have always been practical microbiologists: we probably settled down to farm barley for beer, one of the oldest pieces of writing is a recipe for beer, and it’s not surprising that early biochemists studied enzymes in the fermentation process. For us DIYbiologists, making foods like beer or yoghurt offers a great way to learn sterile techniques, handling of microorganisms, and many of the principle of microorganism culturing – growth media, inoculation, and strain growth conditions. I brew beer and make yoghurt. Making yoghurt is stupidly simple. Starters are available from any live-culture yoghurt found in the supermarket. And I use mason jars (usually from spaghetti sauce) for the fermentation. Brewing beer from malt extract doesn’t require an inordinate amount of time or equipment. Brew shops have various strains of yeast you can use as a starter. And if you’re adventurous, you can capture natural bacteria and yeast to form a starter. Do you ferment anything? Beer, wine, or cider? Do you use microorganisms for food production? Silkworms have been engineered to produce a more durable silk by augmenting them with properties from spiders. The applications of the transgenic silk include textiles, sutures and wound healing, and even new bulletproof materials. Dr. Todd Kuiken is a research associate for the Synthetic Biology Project at the Woodrow Wilson International Center for Scholars. 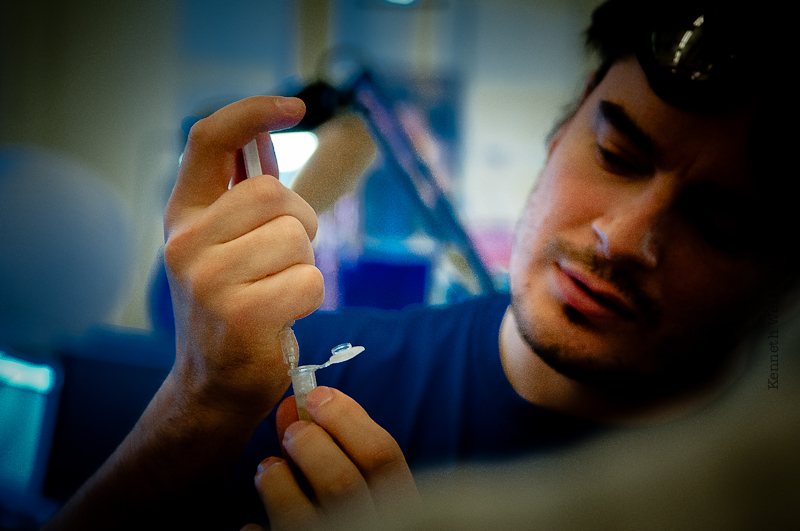 He is collaborating with DIYbio.org on a project to ensure safety within the rapidly expanding community of amateur biologists. If the “MAN” was just one man, dealing with new and exciting movements such as DIYbio would be rather easy. Unfortunately the “MAN” consists of numerous federal agencies ranging from the FBI to the EPA, all with different jurisdictions and oversight concerns. Add to that state and local agencies, neighborhood associations and your curious neighbor looking over the fence and the complexity of engaging with all of these groups becomes clear. The DIYbio community needs to take these agencies concerns seriously, as I think we are doing, and turn them into excitement over this new field of biology and the larger movement of citizen science as a whole. As I began talking about DIYbio with various agencies a theme began to emerge amongst those who were tasked with “oversight”, for lack of a better word, of DIYbio. There was a general excitement about the community and the conversation frequently turned to “remember when science was fun”. While these various agencies have legitimate concerns surrounding the DIYbio movement, the conversations thus far have been positive and seem to be more about helping the movement move forward safely while encouraging more people to get “excited” about science again. By no means do I think this will be an easy task, but an exciting one as we begin to engage the larger public and move deeper into the caverns of regulations, local ordinances and address people’s fears and concerns about moving into the realm of citizen science. I believe strongly that if we follow three simple principles we can calm these fears and produce an environment where the DIYbio community can flourish and the larger citizen science movement can grow. I recently finished reading “The Radioactive Boy Scout” by Ken Silverstein, which describes the true story of a young man named David who over the course of his childhood became fascinated with DIYchemistry and by the time he graduated high school had designed and built a small nuclear reactor in his backyard (with a little help from a book published in 1960 called “The Golden Book of Chemistry”, long out of print a nd probably for good reason, but in short, has some pretty amazing experiments designed for the DIYer, including how to make chloroform!). In the end the EPA arrived, tore down his makeshift lab and turned his family’s suburban Detroit backyard into a Superfund site. This true story is an excellent example of how curiosity and people’s desire to explore science can both lead to pretty amazing accomplishments, from a technical standpoint, but can also carry with it serious safety concerns and potential over reaction by the federal government. I plan on writing future posts describing the significance of this story and how it relates to the DIYbio movement and the lessons we can take from it in order to better engage with the “MAN”. The suits think you can’t do biotech out in the garage. But the suits are wrong. Meet Eri Gentry, queen of the bio-curious. In 2009, after the recession hit and every biotech company around was going belly up, Gentry went shopping. She picked up over a million dollars worth of lab equipment for $30,000 (around £20,000), installed it in her garage and invited her friends over to play. And her friends invited their friends and pretty soon Gentry was at the front end of the DIY biology movement. Jacob Shiach over at opensciencefund.org has been organizing a t-shirt design contest. 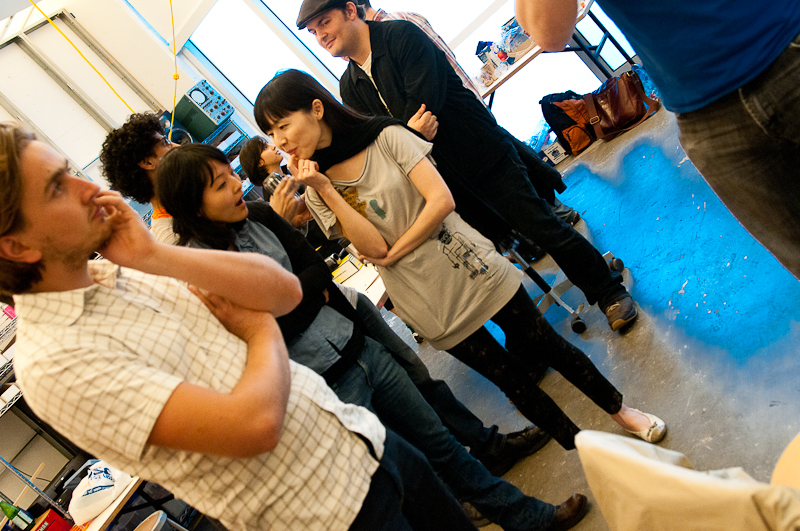 The proceeds are split between diybio.org and opensciencefund.org and the winning designer gets $100 and a free shirt. Everyone is welcome and encouraged to vote for the first DIYbio t-shirt until June 6th at midnight when the ballot will close and the winning design will be announced. The Ballot is located at here. For those that want to make sure they get in on the first batch pre-orders are available at a discounted $10 at etsy.com. p.s. the last is a design that is probably impractical to print by yours truly and was “submitted” on July 2, so it might not officially be in the running. Fred Hapgood, Shawn Finney-Manchester, Marc Rogers, Laura, Keegan Cooke, John at sprout. 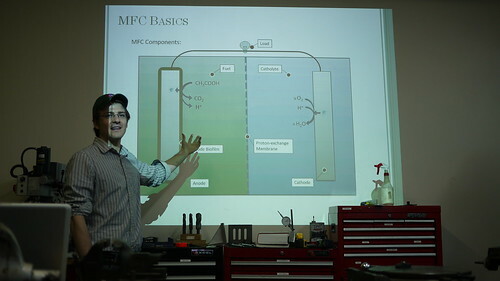 This month, Keegan Cooke brought materials to prototype several Microbial Fuel Cell kits he’s developing, I demoed my updated $50 arduino-controlled microscope, and Jason Bobe gave an update about the BioWeatherMap Project Alpha. He has actually got metagenomic data now. What food or compost products will be converted into the most power? Can’t wait to find out. Keegan took the assembled MFCs back to his workshop for measurement. It takes a week or so for the anode’s environment to become oxygen-free, at which point the electrogenic microbes from the collected soil start colonizing the anode and “breathing” their electrons onto it. More photos are available on flickr: mine, yours. DremelFuge DIY-centrifuge Spins the Best! The Do-It-Yourself-Dremel-Centrifuge, DremelFuge, now nearly meets the capabilities of the best centrifuges! 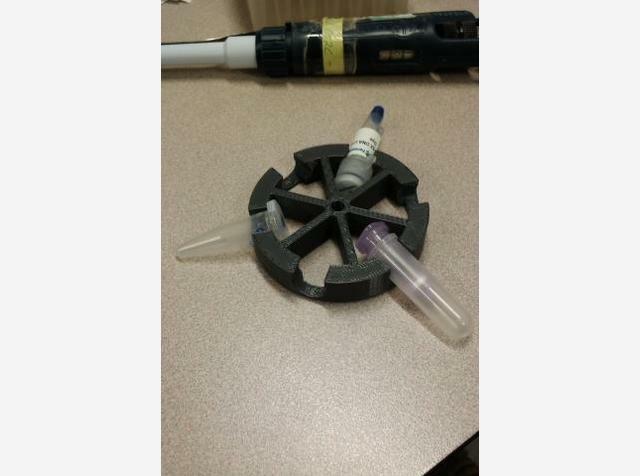 As previously posted for DIYbio (in “Cathal has designed a simple centrifuge using open source hardware technology, and you can order one yourself!“), the DremelFuge is an adapter which turns a Dremel rotary-tool into a lab-quality centrifuge capable of use in various bioprotocols. We had our first DIYBio workshop in Broad Hall on the UCLA Campus over the weekend. The student community from both north and south campus were involved, which included art and science/math majors. Romie Littrell started things off with a short presentation on the concept and history of DIYBio. His talk kicked off discussion focusing on the safety and security of biotechnology that is open to the public. 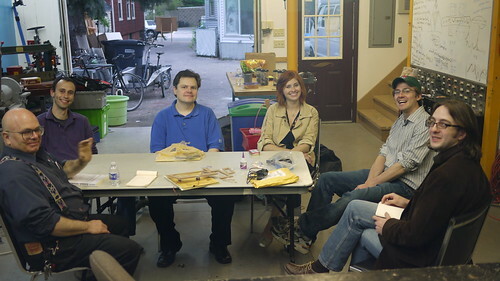 Romie (middle, blue) presents to DIYBio attendees. The highlight of the workshop included an extraction of DNA from everyday food products, akin to the extraction of DNA from strawberries. DNA from a cup of green tea!? Other demos at the workshop included a sampling of a biological polymer made from cornstarch and other products found in every kitchen. The red color and taste reminded me of Twizzlers. DIY bio Los Angeles Workshop at UCLA! February 27th, 2010 from Kenneth Wei on Vimeo. We had a diverse group of visitors throughout the workshop over 4 hrs. Other than science and art professionals, a lawyer and stay-at-home mother with toddler came to participate. Check out our Flickr page for more pictures from this specific event. Stay tuned for an exciting announcement in the coming weeks on the next workshop and the start of our long term project! 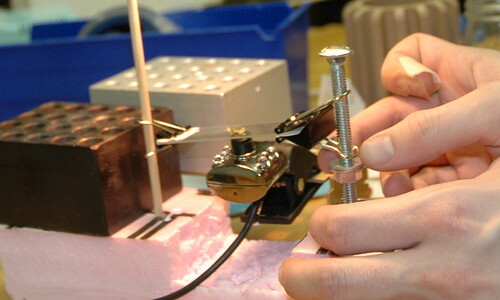 ASPEX is a company that builds tabletop Scanning Electron Microscopes (tabletop SEMs). To promote their product, they are offering free scanning of samples to the world at large. Rendering of ASPEX's tabletop scanning electron microscope. You can see a gallery of some of the scans they have made on their website. My favorite sample is an old stir bar some folks from chemistry-blog.com sent in. The SEM can also use x-ray fluorescence (a byproduct of electron bombardment) from the samples for elemental composition analysis (called EDS or XFR) – in the case of the stir bar, the analysts found a microscopic chunk of Chromium stuck to the surface! Leftovers from some experiments, I guess. Wow. a microscopic chunk of a Chromium-containing compound on the surface of an old stir-bar. They emailed us recently inviting us to take advantage of their offer. It sounds pretty cool and I’m going to mail in a sample of one of Paul Stamet’s LifeBoxes. I also casually asked if I could possibly borrow on of their tabletop SEMs for a couple of weeks to play with here in Boston, pretty please with sugar on top? They wrote back and said yes! So sometime this spring they are going to drop off a demo unit for a couple of weeks and we are going to have a scanning electron microscope bonanza. 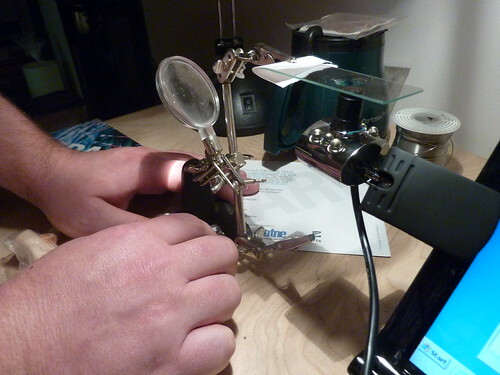 Hopefully it will be so cool that ASPEX will be happy to lend the unit to other local diybio groups too. Note: I’ve been told that they’ve gotten a lot of demand for the service and are a little backlogged, but that samples are scanned about 2-4 weeks after delivery and emailed to the sender (if you get an image back, post a link below). “I teach middle school math science and history for beginning ESL students. My students originate from all parts of the globe including Sudan, Peru, Mexico, Korea, and Japan. 80% of my students receive free or reduced lunches. 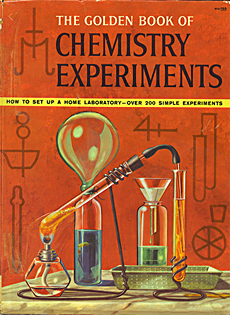 Students often see subjects such as history and science as unrelated. In the community where my students live they often do not see the practical application of scientific methods in the work force. Additionally, the rich diversity of cultures makes the idea of interconnectedness especially important. Testing our mitochondrial DNA will allow my students to trace their haplogroups and trace their ancestors migrations out of Africa. We’ll be able to find common ancestors between us and tell the history of the human race. Using the lab equipment (the conical tubes, saline solution, and kit) students will process their own DNA using the same process anthropologists and forensic experts use, giving students a real connection to science in the work force. The DNA models and evolution charts will be used to explain the processes of population shifts and explain how we can use DNA to determine common ancestors. Your help will fund a project that connects science (through genetics), history, and math. Students will get training in DNA testing that is used by real scientists everyday. This project makes the vital concept of DNA tangible and gives my students the tools needed to access higher science subjects in high school. You will make it possible for my students to describe our common heritage as humans. This cowboy hat is acid-proof and recommended diybio safety-wear. Chris Kelty just kicked out the Outlaw Biology Symposium here at the N(c)SI center at UCLA. “Outlaw is not the same thing as criminal,” he said. Marcus Wohlson and I live-blogged it here, with help from Charles Fracchia. There is a live stream. Each panelist gets 2 slides. Starting w/ Jason Bobe‘s 2nd, I’ll try to take a picture of each one. Hugh Reinhoff – tons of sequencing and searching for the mutation causing his daughters’s disease, narrowing in on the target. May start biochemistry in mice models soon. 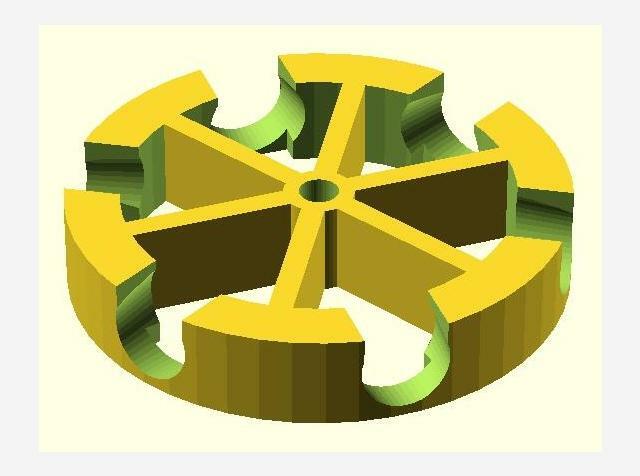 Philip Lukeman – made 100nm wide gear out of DNA origami. Working on nanoscale devices. Demoing open-source software tomorrow that takes in a drawing and spits out oligo strings that will self-assemble via the origami techniques into the shape. I’m thinking… we should fold some DNA into cool shapes and send the results to ASPEX for free electron microscopy. Victoria Vesna – artist at UCLA. http://artsci.ucla.edu. Shows a slide of piece she did called “Blue Morph”. The flashes of light were translated into sound, flashes from the metamorphasis of a blue morpho caterpillar into a butterfly. The way art is done, taught, critiqued has also changed. Looking for public input for next HOX project: The best idea gets $1,000! Comment and suggest at http://artsci.ucla.edu/hox/. Roger Brent – Badass Basic Scientist. Ran the Molecular Science Institute,/a>. Drew Endy and Rob Carlson were hanging out there in the early 2000s. “In 1975, there were effectively 300 people hacking DNA. In 2010, >350,000 who have hacked DNA in the last 10 years. In 2025? Millions.” Why? Well, there are great informational resources today. For instance, Current Protocols in Molecular Biology and it’s rival, Molecular Cloning, as well as a Yakuza bootleg cloning book from Japan. >100,000 of these manuals sold in 2002. >1,000,000 in 2010. And in China? And that’s totally ignoring China! What technologies would be enabling for DIYbiologists? Lukeman: low-cost atomic force microscope and a low-cost electron microscope. Patterson: All imaging equipment! I would kill for an fMRI. Brent: one way to bound this question is to consider what you’re trying to acheive. If you are trying to do microbial synthetic biology, you could build a great lab for around a million dollars! Bobe points to Joseph Jackson in the front row with his LavaAmp _ a low-cost pocket-sized thermocycler _ to make the point that DIY biologists are well at work on building cheaper versions of lab gear to increase accessibility. Vecca: We should open university labs to the equiptment. And donate/recycle the 3-year-old used equipment to establish public labs. Patterson: Yeah! I love http://www.seedinglabs.org/. Audience: ScienceShops, like in Europe! Me: any tools that speed up the interaction with biological devices. Interactivity is key to play, and play is key to intuition, and intuition is key to innovation. Narrator: Hackerspaces are becoming “centers of inquiry for anyone who just wants to walk in. Discussion turns to the patient-driven research movement. In the audience is Alice Wexler of the Hereditary Disease Foundation, which began four decades ago as a family effort to trace the genetic origins of Huntington’s disease. Audience: Why are we interested in diybio? Is it for entertainment, or for survival? I started a small lab for artists at UCI. But in the end, we didn’t have the people power. I’m an artist. I didn’t have enough time to maintain the equipment and to figure everything out. So where are the situations where the Space and Equipment and People come together? I see a lot of really cool geeks here… but I see everyone alone. Working in isolation. Brent: Well, I just want to say a person who wants to do art would be welcome in my lab. Rienhoff: It might seem like a solitary activity, but I am connected to a very large community. I don’t feel like I am working in isolation. Me: Roger, could you describe a page in a cloning manual and how much those publications cost? Brent: Full subscription to “Current Protocols” used to run $1,200 a year. Anyone in UC system has access electroincally. Everyone knows someone. Me: And there are torrents! But my point is that these protocols are often just a little too technical or telegraphic for the beginner to actually be able to use them. They are written for grad students. We need new manuals. We need books with the same technicality but written for high school students. Bennett: The real test is to go home and boot up our Internet and see if we can learn how to do this. But why should you care about diybio? Find this essay: Weber’s Science as a Vocation. Science is hard and takes incredible enthusiasm and drive. We need to think about the why! It’s not just to do something cool. (Narrator: we might have missed the nuance of his discourse). Audience: a sociologist, compares “outlaw biologists” to buffalo soldiers, i.e. outsiders who at the same time have connections to powerful institutions. Asks panelists to reflect on connection. Patterson: You have the freedom to look into questions that haven’t seen a lot of focus because projects would generally benefit marginal populations. Much of the resistance I’ve seen to my work comes from “upper-class liberal white people” who fear genetic engineering but lack sensitivity and awareness to its potential to benefit the poor and marginalized. Lukeman: Who remembers “The Island of the Misfit Toys?” I think a bunch of the scientists you see here could be described as being from the island of the misfit toys. Scientists are not homogeneous, but often “deeply weird” people who have useful and not-so-useful ideas. Bennett: A concrete example of the adjacencies between big bio and so-called diybio: consider the work of iGEM teams. It’s generating new kinds of participation, proliferating around the world. Getting some purchase on the movent among and across these places… should help us answer the question. Audience: As exciting as outlaw projects are for lowering barriers to participation, how do you envision the work changing the interaction of the broader public with the science? Meredith: If I could llive in my ideal world, it would be one in which people actively realized how much they use the scientific method every day. Brent: Americans idolize the autodidact, the tinkerer, the Thomas Edisons. If biohacking captures the public imagination, regardless of technological achievement, a broader dialogue about science will be opened. Bennett: The kinds of things we can do well in labs today can seem boring. What goes on at the bench every day is not the grand story about the human genome and the code of codes changing your life. A real problem: Combining a frank discussion of what we can and can’t do with fostering enthusiasm for trying. Lukeman: Hard to convey to people what we’re doing without resorting to the five-minute montage. (a la CSI). Audience: I want to point out http://scienceforcitizens.net/ (any maybe http://citizensforscience.org/ ? ), and tell you that I’m going to a citizen science literacy conference later this year run by http://www.copusproject.org/. What messages do you want me to bring to that conference? Kelty: I encourage you to just focus on enabling citizen science. The literacy will follow. Audience: I am a gerontologist here at UCLA. Most citizens don’t have any science understanding at all… but I think it’s changing. Someday there will be science experts who are high school students. Freeman Dyson’s Domesticating Biotechnology. Jankowski: I think we would all agree: biology is hard. We’ve talked about the available electronic resources, and the cheap ways at getting lab equipment. So let’s talk about how to develop access to experts who can teach us. Fracchia: We’re running periodic classes at the bosslab in Boston. Littrell: And tomorrow we’re starting DIYbio-SF here. Audience: We’ve talked a lot about DIYbio practice, but I’m more interested in the theory. I’m a scholar who studies 19th century renegade scientists. I want to know what the big ideas are or will be coming out of this community and knocking on the door of orthodox science. Lukeman: Outlaws don’t need your stinkin’ metaphysics. 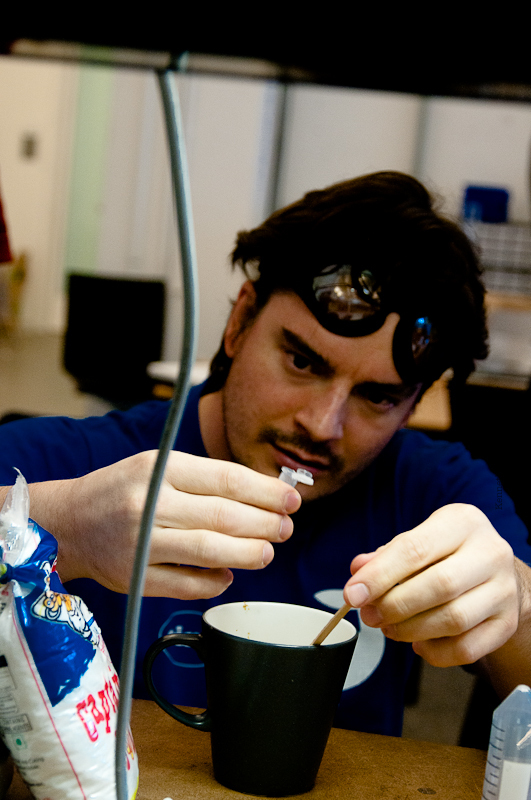 Rob Carlson states: innovators are necessary to create solutions to pressing problems – and these innovators often work with or come from interest groups such as DIYbio. Support the Public Library of Science (PLoS) with their Logo! Many of us in the DIY realm rely on the open publications of the Public Library of Science at plos.org. chuck-loading machine or by a popular rotary tool. Shaunalynn Duffy, Alec Resnick, and David Thompson lean closer as the ucam's image comes into focus. The camera cost $10 and took 5 minutes to hack. 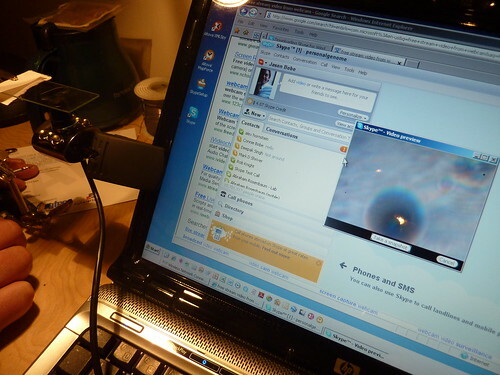 We hacked $10 webcams into microscopes, a la Hackteria.org at the bosslab + sprout. Yashas Shetty, Jason Bobe, Rich Pell, Myself, and others are planning a worldwide webcam hacking day on January 30th, in conjunction with the UCLA “Outlaw Bio” symposium. @molecularist (Charlie Schick) posted a great writeup with some photos on his blog. @jasonbobe was the first to have a cam connected to his laptop and the lens unscrewed and inverted. Jason testing the ucam: lens unscrewed and inverted, clipped to laptop screen, with an alligator clamp holding a microscope slide above the camera (consider vibration and focal point). A droplet of saliva dripped onto a microscope slide held above the webcam/microscope (microcam? u-cam? ucam?) showed up as amorphous blobs: Hello World! The inverted lens resting on top of the camera chasis seemed to have a focal plane somewhere inside the lens body. This is when we realized we should screw the lens into the chasis in reverse. 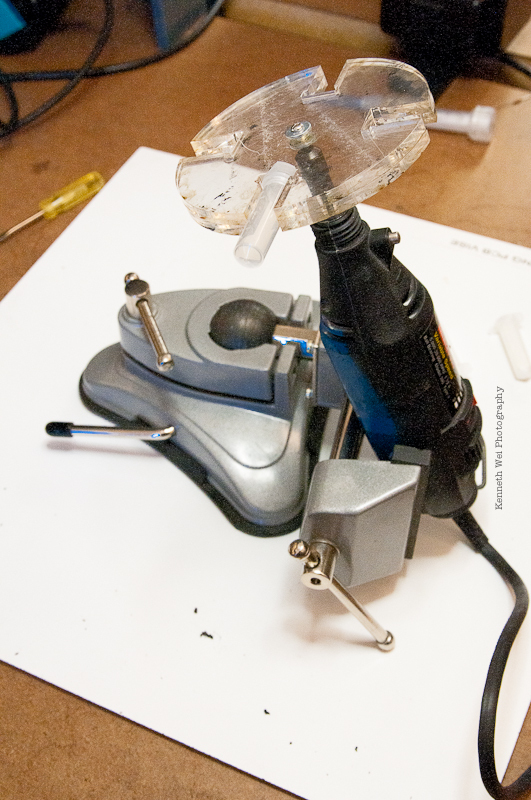 @jayunit & David Thompson built an ad-hoc microscope slide holder out of a block of insulator foam, a pencil, two black binder clips, a bolt, a nut, and a washer. By rotating the nut (or holding the nut and rotating the bolt), we could raise and lower the height of the microscope slide. the nut on the bolt controls the height of the slide above the camera. Unscrew the lens from this particular $10 usb webcam, open the camera body, reverse the lens and screw it back through the camera body inside out, and voila, instant microscope. I hacked together some rudimentary processing code to access the usb microscope. It seemed to be more reliable than quicktime (or skype) and I was excited about using my favorite blob-detection library on the microscope feed. You can grab the source here: ucam. To get the focal plane outside of the lens assembly, we unscrewed the 2 small machine screws holding the camera body together to open the camera then and screwed the camera lens back into the housing from the inside-out such that the the lens was reversed. The part of the lens that had originally been closest to the CCD was now outside the camera body. Then screwed the housing back together. By rotating the lens and and the nut on the slide holder, we were able to intersect the focal plane of the ucam with the microscope slide. it works! ucam hello world: looking at streetwater and blood from mac cowell on Vimeo. 12 Dec 2009 – wiki notes.